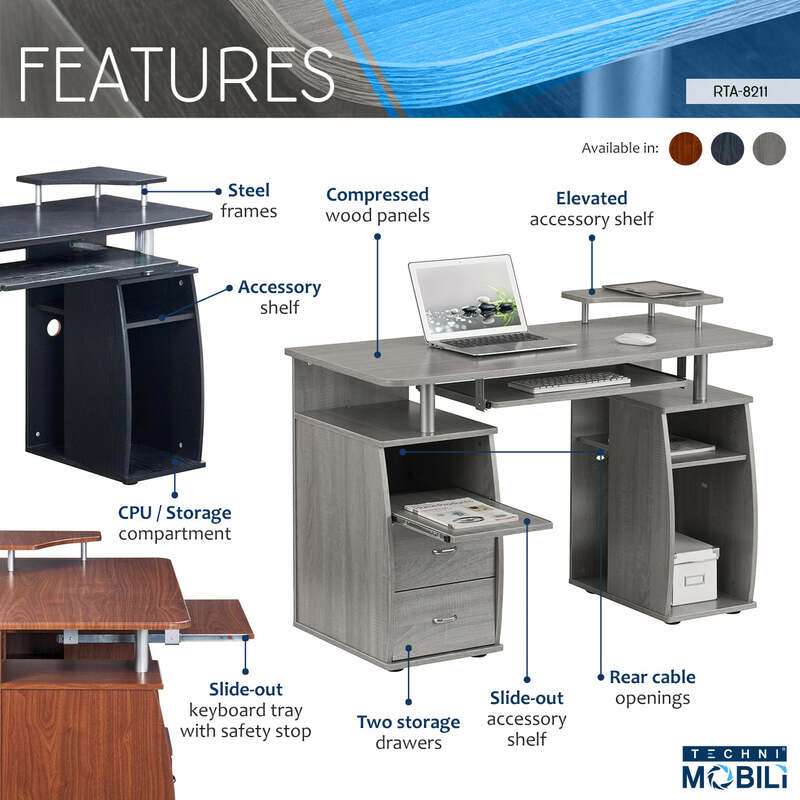 The Techni Mobili Dual Complete Computer Workstation Desk includes an elevated accessory shelf, slide-out keyboard and accessory shelves—both equipped with safety stops, 2 storage drawers, and an open CPU compartment with a shelf that can be moved up, down or completely removed. The elevated desktop provides additional storage above the pedestals. The slide-out accessory shelf and CPU compartment each have rear cable openings. The desktop has an 80 lbs weight capacity, while the shelves can each hold up to 30 lbs, and the drawers each have a 22 lbs weight capacity. This amazing multifunctional desk is made with MDF panels with a moisture laminate veneer. It's stylish frames are made of scratch-resistant powder-coated steel, adding elegance to it's fine design. Color: Mahogany, Espresso & Grey.